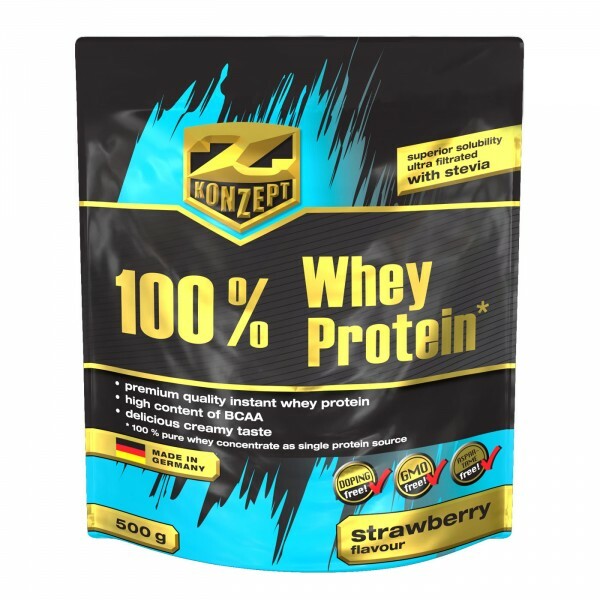 The only source of protein in 100 % Whey Protein is highest quality whey protein concentrate containing 23 g BCAA per 100g protein. Because you should consume this important basic product really regularly we focused on good tolerance, best solubility and excellent taste. 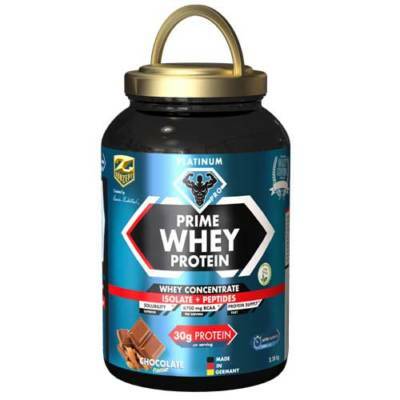 The single protein source of 100% Whey Protein is pure whey protein concentrate (WPC 80). 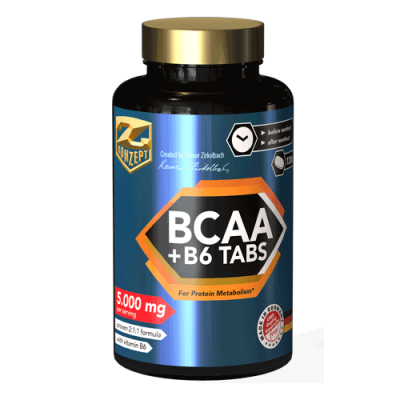 This protein has two important characteristics: it can be digested very fast and it has an amino acid profile which is rich in branched chain amino acids (BCAA). Both are very important straight after training. 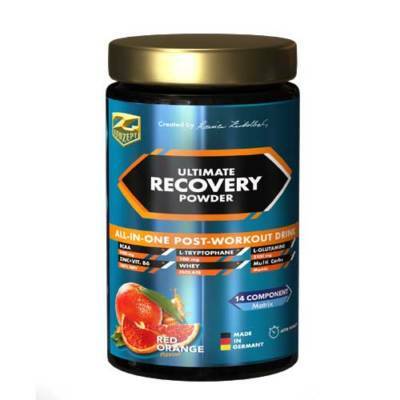 First because the recovery process is on a very high level and needs fast input and second the BCAA, especially L-Leucine, are important for starting muscle building process. 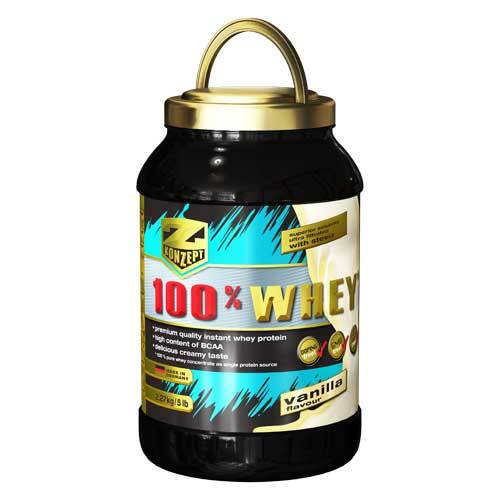 100% Whey protein is optimized to be highly soluble and easy to mix in a shaker or even just stir it into a glass of water. The taste is delicious and for people who want to have more calories and a richer consistency it can also be mixed in milk. 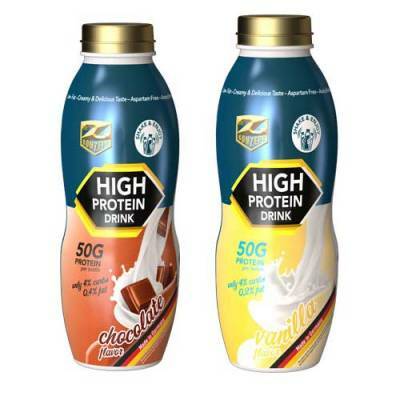 Of course 100% Whey Protein is LOW FAT and LOW SUGAR if you mix it with water. whey protein concentrate (96,8 %), flavour, coloring foodstuff beetroot powder (betanin), emulsifier (soy lecithine), sweetener (sucralose, steviol glycosides), separating agent (silicon dioxide). Allergen information: Contains lactose and soy. May contain traces of gluten and hen‘s egg protein. 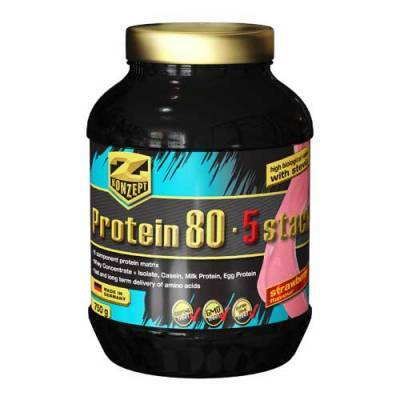 Recommended consumption: Stir 1 portion = 30 g in 300 ml water or low fat milk. Take at least one Shake daily, preferably after workout.